This is so much fun to make and it looks like you’ve spent a long time on it! 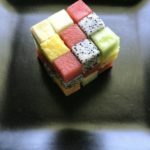 You can pick out any firm fruits you want to make this. I actually planned out what colors I wanted where before cutting the fruit so it didn’t brown. 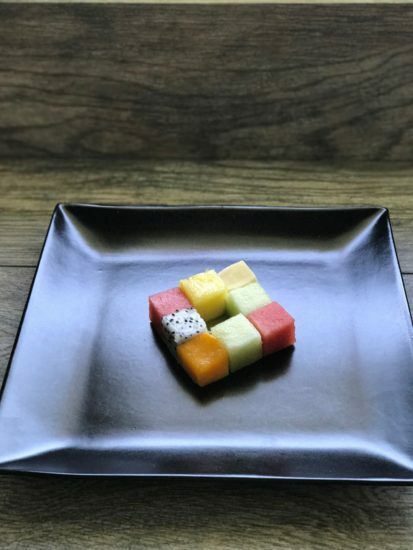 Select your fruits but don’t feel limited by what I chose. This is what was available the day I shopped. Firmer fruits obviously work better for this. 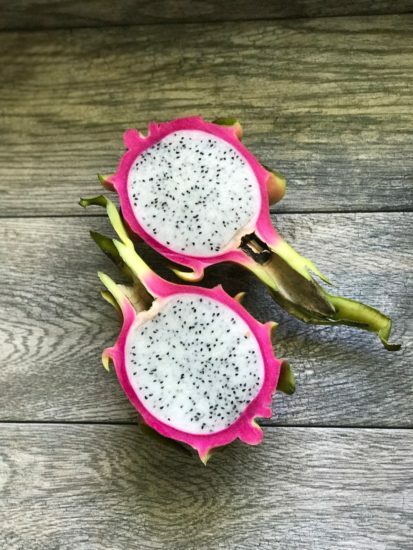 Let’s take a moment and just look at how beautiful dragonfruit is! It photographs so well and is so tasty. Using a cube cookie cutter, cut up your fruit. If you don’t have one, you can cut your fruit up but it will take longer. 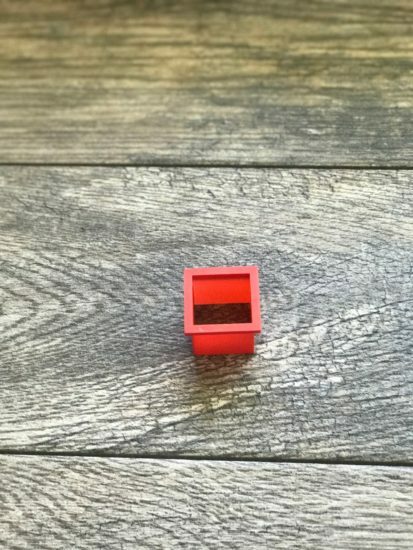 Start placing them in the cube shape. As I noted at the beginning, it is very helpful to have it planned out before assembling. Plan out the placement of colors for the cube. 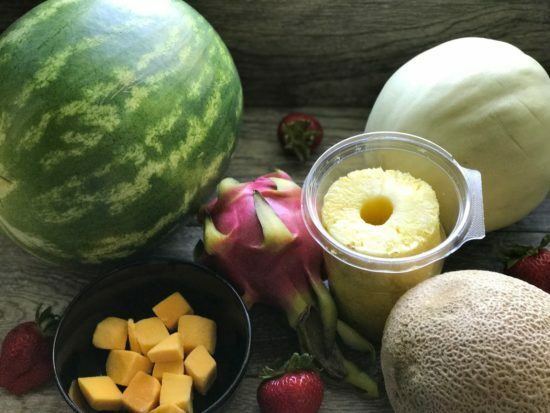 Cut your fruit into sections and remove the rinds and skins. 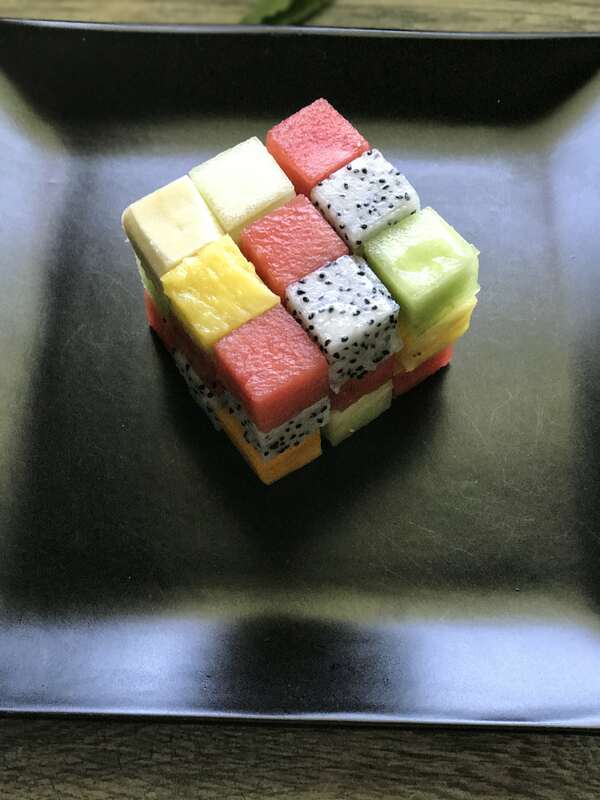 Using a cube cookie cutter, cut the fruits up. Sprinkle lemon juice over the fruit so it doesn't brown. Follow the planned placement of the fruit and have fun creating!